Resolved: The United States ought not to provide military aid to authoritarian regimes. The Lincoln Douglas Debate is a one-on-one debate in which the debaters do not know which side of the argument they will be defending until right before the debate begins. In the Shenandoah Valley Forensic League Championship, Senior Kaley Hutter took third place in the Dramatic Interpretation event with her selected piece from Little Women, by Louisa May Alcott. She competed in three rounds of competition and her cumulative score was enough to place her in the top three. This was only her second time competing, and the first place she earned in the Fall competition qualified her for this championship tournament. 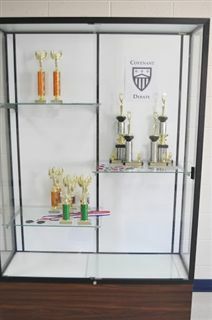 Lastly, The Covenant School Debate Team finished the league's season as runner up in the Small School Sweepstakes Championship. 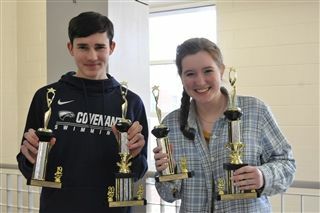 Congratulations to Will, Kaley, Mrs. Moeller, Mr. Dickerson, and all Debate team members!